Angie Jones is an award-winning, dual-certified Resume Writer and Career Coach and a former recruiter and founder of Haute Resume & Career Services, LLC. Provide an example of a time when you were forced to keep calm while working under pressure or shown a willingness to take on new challenges at short notice. Include volunteer work if it pertains to team building and leadership. Example: Served as Volunteer Coordinator for Best Friends Animal Sanctuary from 2012-2014. Describe a role where you were required to lead a school project. Listing relevant coursework will allow you to demonstrate that you have at the very least been taught to write professionally, develop spreadsheets and PowerPoint presentations, and otherwise communicate effectively. Affiliations and/or club memberships such as Debate Club or Toastmasters will help demonstrate both your organizational and presentation skills. Do background research on the company were you’d like to work. Hiring managers can tell who has done their research and it will set you apart from your competition. Be prepared to provide an example where you were forced to react to conflict and what you did to resolve it. Provide the hiring manager with letters of reference that speak to your commitment and strong work ethic. You don’t need to be an expert in your field to win the job. Rather, all you really need is a great personality, the willingness to continually improve, and confidence. Combine these traits with your soft skills and you will become an amazing asset to any company! What Is Your Online Reputation Doing To Your Job Search? Many job seekers mistakenly believe that, because they aren’t on Facebook, or Twitter, their online reputation is spotless. Related: Unfortunately, this isn’t always the case. Employers Reject More Than 90% Of Resumes: Will Yours Survive? Name: Angie Jones Twitter: @ResumeExperts LinkedIn: /in/proresumewriter Personal Website/Blog: www.anewresume.com Bio: Angie Jones is an award-winning, dual-certified Resume Writer and Career Coach, a former recruiter and founder of Haute Resume & Career Services LLC. Her credentials include having served as a member of the "Professional Association of Resume Writers and Career Coaches' (PARW/CC) Certification Committee." In this role, she was tasked with judging and certifying only the most qualified professional resume writers around the world. 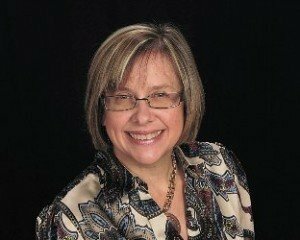 In addition, she is one of only a handful of professional resume writers to have received the coveted TORI Award (Toast of the Resume Industry); a prestigious international competition recognizing the “best of the best” of resume writers and a six time contributor to nationally published resume and cover letter books available in bookstores. What's your favorite career related quote? “EVERY job is temporary and NOBODY learns how to build a satisfying career in school.” (J.T. O'Donnell) What’s your favorite part about being a CAREEREALISM-Approved Career Expert? I’m able to make a huge difference in the lives of job seekers who are struggling in the midst of their career transitions. 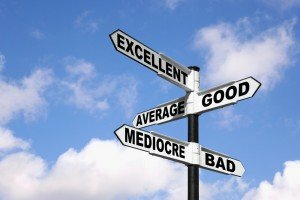 Articles written by this expert: Mediocre Resumes Tend to Generate Mediocre Salary Offers Employers Reject More Than 90% of Resumes – Will Yours Survive? Are Professional Resume Writers Worth the Investment? Secrets to Tapping into Unadvertised Jobs Transform Your Resume into a Powerful Recruiter Magnet Is Your Online Reputation Stalling Your Job Search? Are Professional Resume Writers Worth the Investment? 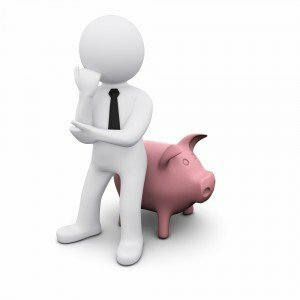 How much is your resume costing you? As a globally recognized executive resume writer, a former recruiter and the founder of Haute Resume & Career Services LLC, I review hundreds of resumes each year for job seekers who have often spent months unsuccessfully searching for a new job. The majority of these job seekers have one thing in common… they are using an old-school, backward-focused resume that does nothing to set them apart from their competition. In November, 2011 the Bureau of Labor Statistics reported the average length of unemployment was at 41.1 weeks. Many of these job seekers are losing thousands of dollars as a direct result of their resume. Think about it this way: An unemployed professional who had previously earned $52K per year in his/her last position is losing $1,000 each week they remain unemployed. A 40-week long job search with the wrong resume could end up costing the job seeker $40K in lost wages. The good news is most of these mistakes are easily prevented when the job seeker has educated him/herself in the art of resume writing. Avoid these costly mistakes on your resume! Beware of many of the resume templates found on the Internet. A number of these templates have serious flaws and are not likely to work for a variety of reasons. One of the biggest reasons is their incompatibility with certain Applicant Tracking System software (ATS) programs. Many of these older templates were designed in MS Word with the content embedded in tables. If the employer’s software cannot extract your content from the table; your resume is most often deleted.Another reason these templates fail miserably is the result of the job seeker choosing the wrong resume format. I can think of many examples where a chronological resume can actually make a candidate who is transitioning into a new career, look far less qualified than they really are, since the more relevant information is buried deep within the resume. Don't waste your time with an Objective Statement telling employers what you are looking for in your next position. It’s much better to provide a job title in your accomplishment-based Qualifications Summary. The employer would rather you make their job easy by selling them on why they should call YOU in for an interview instead of your competition. Your resume MUST be targeted to the position that you seek. If you use a backward-focused one-size-fits-all resume it is not likely to contain the relevant "keywords" necessary to be picked-up by the ATS software. An exceptional resume requires quantifying your accomplishments whenever possible using numbers, dollar amounts, and percentages. This information demonstrates both the level of responsibility you've held, as well as the level of success that you've had in similar positions.When employers have made their decision they often go back and review the resume prior to making a salary offer. This is where they are reminded of the VALUE you bring to their organization making you worth a top-dollar salary! Most importantly: Know your competition!